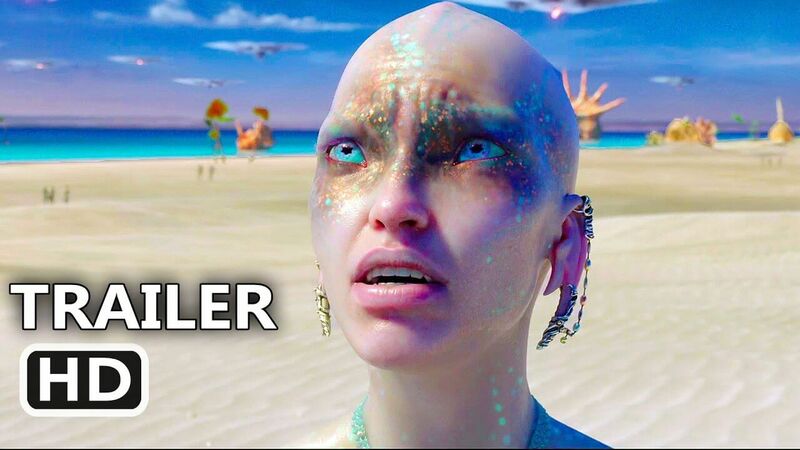 The first trailer for Luc Besson’s Valerian and the City of a Thousand Planets is finally here and it’s got everything you could want in a big science-fiction movie. It’s got spaceships. It’s got spacesuits. It’s got cool looking cities. There are monsters, aliens, weapons, portals and so much more. The trailer feels as if Besson took every scifi trope in the book and threw them all into a single movie. Which is to say, it looks pretty excellent. And yes, that is the actual, honest-to-god Beatles song “Because” in the trailer. According to Besson, it’s the first time the group has ever let one of their songs be used like that, and Paul McCartney and Ringo Starr had to sign off on it personally. The director decided to use it because he and his trailer editors were looking for a song that conveyed the mood they wanted in the first teaser. They stumbled on “Because” and built the trailer around the song instead of the other way around. Also of note, Besson recently told io9 that when the next trailer comes out in January, and a final one after that, he won’t use the same shot twice in any of them. He’s sick of trailers that just re-edit the same footage over and over again, so he wants Valerian to be different. Back at Comic-Con, Besson first debuted footage from the film and talked about the origins of the project. He’s loved the source material, Valérian and Laureline, for as long as he can remember and collaborated with its creator Jean-Claude Mézières on The Fifth Element. At that time, Mézières begged Besson to adapt bring his vision to the big screen. At the time, 1999, it couldn’t be done. But by July 21, 2017, it will be. That’s when Valerian and the City of a Thousand Planets, starring Dane DeHaan and Cara Delevingne hits theaters.